Self-Loading Concrete Mixture is a standalone machine that self-loads required a quantity of aggregates, Cement, and Water into the drum and forms with the self-concrete mixture. 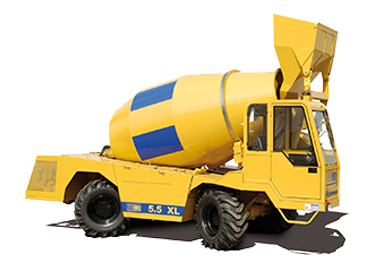 The Self-loading concrete mixture is generally been used in the construction field for producing a high-quality concrete mixture. Pressure Transducers is the method been used for weighing the materials. 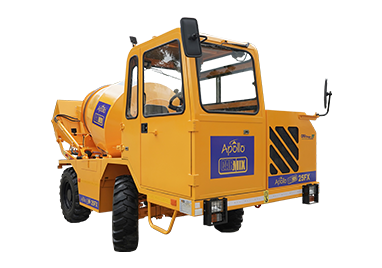 • Self Loading Concrete Mixture delivers up to 2.5 m3 of a concrete mixture. 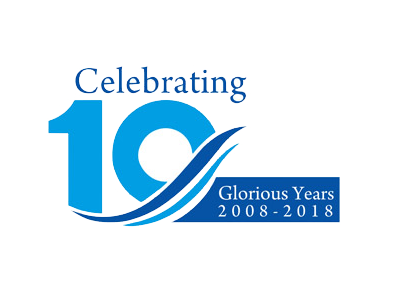 • The unmixed materials are been fed into the self-loading mixture. • It consists of hydrostatic 4 wheel drive transmission. • The engine is water cooled with 4 stokes with a turbocharger. 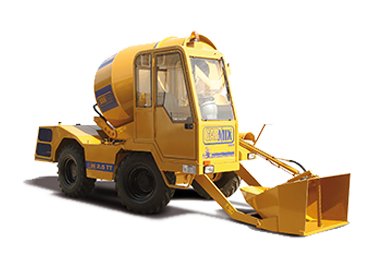 • Constant agitation of concrete due to the user-friendly design of the equipment. 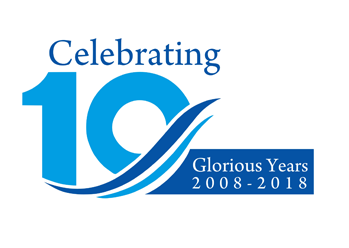 • It has a drum capacity of 1400 liters with an output of 1 cubic yards per batch. • The hydraulic system consists of three circuits with variable outlet pumps for hydrostatic transmission and drum rotation. • Main functions are been controlled with the help of joystick. • Self-loading concrete mixture is the best and the easiest way to create with the self-loaded concrete mixture. Following shows with the mechanism of the machine. 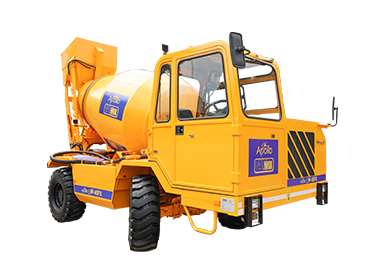 • Self Loading Concrete Mixture is portable, that is the concrete mixture can be formed at the site itself. 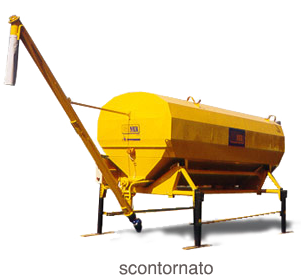 • The self-loader helps to load the raw materials in the drum. • The raw materials like aggregates, cement, and water are been dumped into the drum. 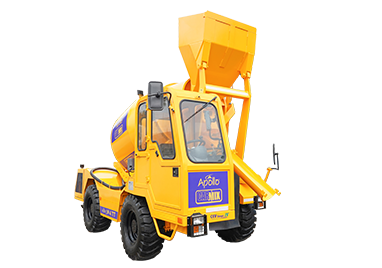 Properties are been set with the machine for getting a required output of concrete mixture. • The drum rotates at a certain speed, in order to produce with the desired concrete output. • Once the process is been finished, concrete gets ready and it been directly placed at the site. 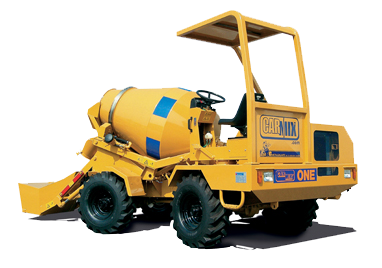 • The main advantage of this self-loading concrete mixture is getting fresh concrete at the construction site for getting high-quality concrete for efficient building. 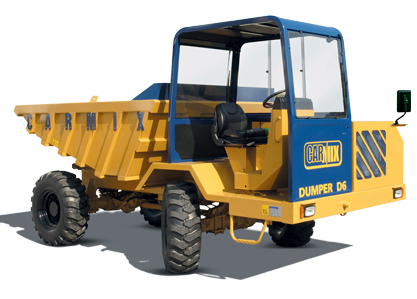 • This machine also helps to reduce manpower and also saves time. One operator is required for driving, loading and for mixing operations.